Happy Monday friends! Hope everyone had an amazing weekend! I took off on Friday to go to Disney for Kerri's birthday so while I enjoyed an extended weekend I'm still pretty exhausted this morning. We walked almost 12 miles on Friday between two parks and stayed from park open to close so it was still a long day! On that note, it's time to link up with my girl, B, for our weekend recap! Since I was off Friday I'm going to start my weekend on Thursday night. After work I headed straight to Winter Park to meet up with Kerri, Kate and Emily for some wine flights for Kerri's birthday. It was a really nice evening out so we sat outside, chatted an people watched. I gotta tell you, people watching in Winter Park never disappoints! 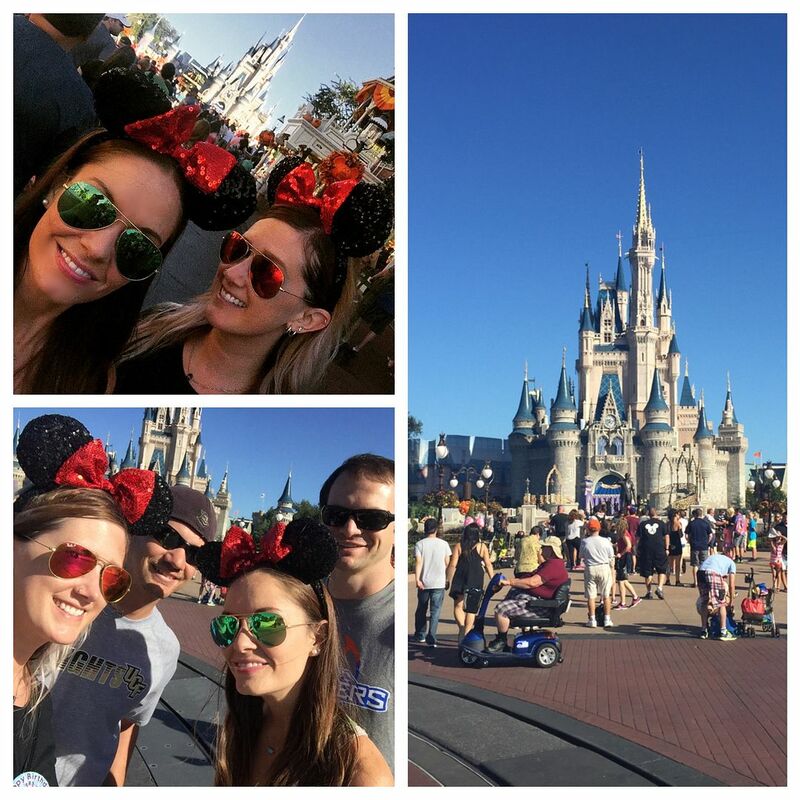 Friday we got up bright and early to head down to Disney with the boys to continue Kerri's birthday celebrations! We made mimosas for the road (just me an Kerri, don't worry our driver wasn't drinking and driving!) and headed straight for Epcot. I had quite the itinerary planned for us since we decided to park hop. We were going to ride Soarin' first then run over to Magic Kingdom but 15 mins after the park opened the ride already had a 60 minute wait so we skipped it and went over to Magic Kingdom. We manage to get all of the rides I had planned with our fast passes and two extra before heading back to Epcot ahead of schedule for some food and wine! We decided to try to hit up a bunch of the countries we missed last time, only repeating Germany because we didn't get food from Germany last time and I was dying to try the bratwurst in a pretzel bun. It was worth it. I managed to bump into a friend from college and I got to meet Amanda from Kids & Cabernet! Sadly we failed on taking a picture but we decided that wouldn't be the last time we meet up! Saturday we were supposed to go to the UCF game for homecoming but it was a noon kickoff and after walking 12 miles the day before and not getting home until late we decided to skip it and just watch on tv. That ended up being a wise choice since UCF lost. Again. 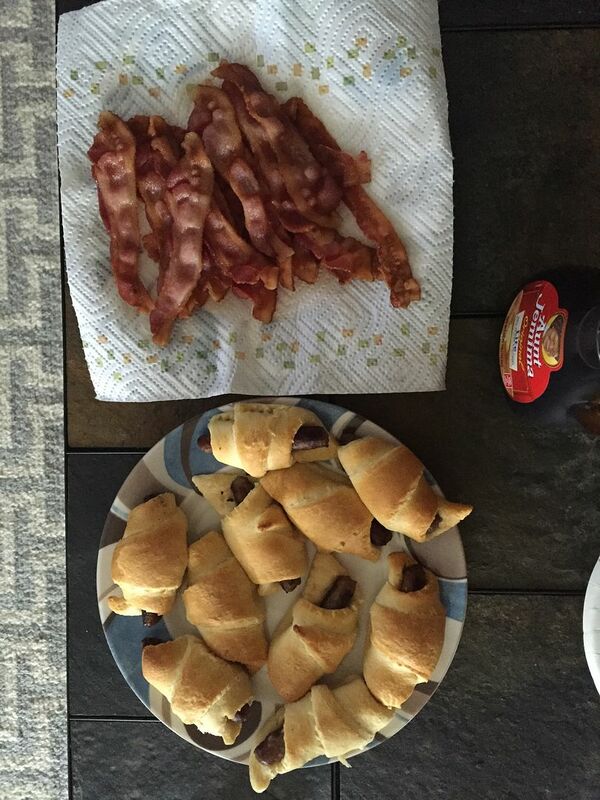 But I made a pretty awesome brunch spread so at least we got to eat yummy food while watching! Sunday was spent relaxing, running errands and making chicken and dumplings. Nothing overly exciting but it was nice to just sit down and relax. Sounds like the perfect day...Disney is my fave! What a fun weekend, lady! Love that you were able to have an extended weekend to celebrate Kerri! Disney for a birthday party is too cute, definitely something I would do if I lived near y'all. So fun y'all wore ears, just awesome! Your brunch looks amazing! 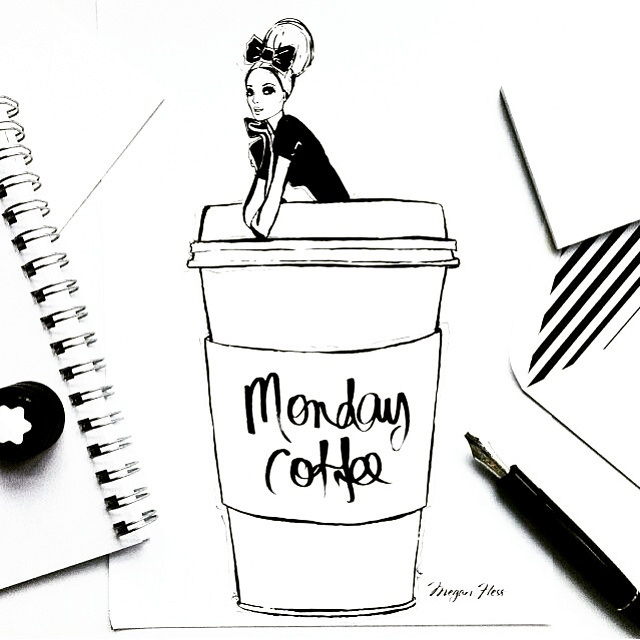 Happy Monday, lady! So many fun birthday festivities! I haven't been to Disney since I was a kid, sounds like a lot of fun as an adult though! I love that you live so close to Disney! Epcot is seriously one of my favs, I mean you can walk off basically everything you eat and drink there. 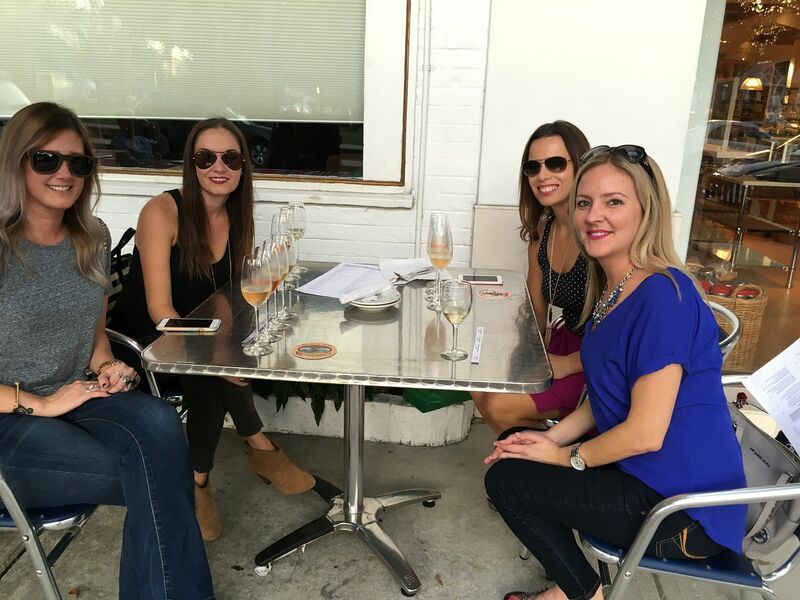 What a fun blogger meet up weekend! Disney sounds amazing! We went last year and it was so fun. We mostly did the princess things for Emily, but we're hoping to go again once she's a little older and enjoy the other parks as well! We have to take an airplane though hehe.. Happy Monday! Sounds like the perfect weekend!! And lots of blogger dates ;) I wish Disney was that close to us! Soarin' is still one of my favorite rides at Disney! Looks like you guys had so much fun! Happy Monday! Your trip to Disney World seriously sounds like so much fun! I'm seriously so jealous that y'all can take off one day and just go there! Anyways, Disney definitely seems like the perfect place to celebrate a birthday, especially when you hit up the food and wine in Epcot! And I was disappointed by another Aggie loss this weekend too. Football is definitely not as fun when you're losing. so glad i got to spend a good part of my weekend with you, love! disney was a blast but i think i'm still recovering from the walking and drinking haha. your spread looks amazing from sat! what an awesome relaxing rest of your weekend! love you bestie! What a great weekend! I love your detailed Disney planning to maximize the fun of the day (and starting with car mimosas definitely sets the tone for a fabulous day out!). What a fun weekend! I have never been to Disney but I definitely want to one day!! Looks like a wonderful weekend! Slightly jealous of how easy it is for you to go to Disney! So fun! Such a fun weekend! Disney looks like an absolute blast - you guys are such pros! Your food for the game looks delicious and it's always my favorite to end a busy weekend like that with a lazy day! That looks like so much fun and such a great weekend!!! SO cute with the Minnie Mouse ears!! What a fun weekend! Seeing anything Disney right now makes me extra excited for our trip in February. :) Happy Monday! What a PERFECT weekend! Seriously, so much fun! And now I'm SO anxious to go to Disneyland next month! Can't wait! I'm so jealous! Disney as an adult sounds like so much fun!!! You and Amanda are making me so jealous with your Disney trips! And bratwurst in a pretzel bun sounds amazing! You guys did it right by taking the day off to go to Disney instead of tackling the weekend crowds. I'm hopnig to go a few more times in Nov and hopefully get to try some of the new countries. Your brunch spread looks amazing! Seems like such an amazing time! 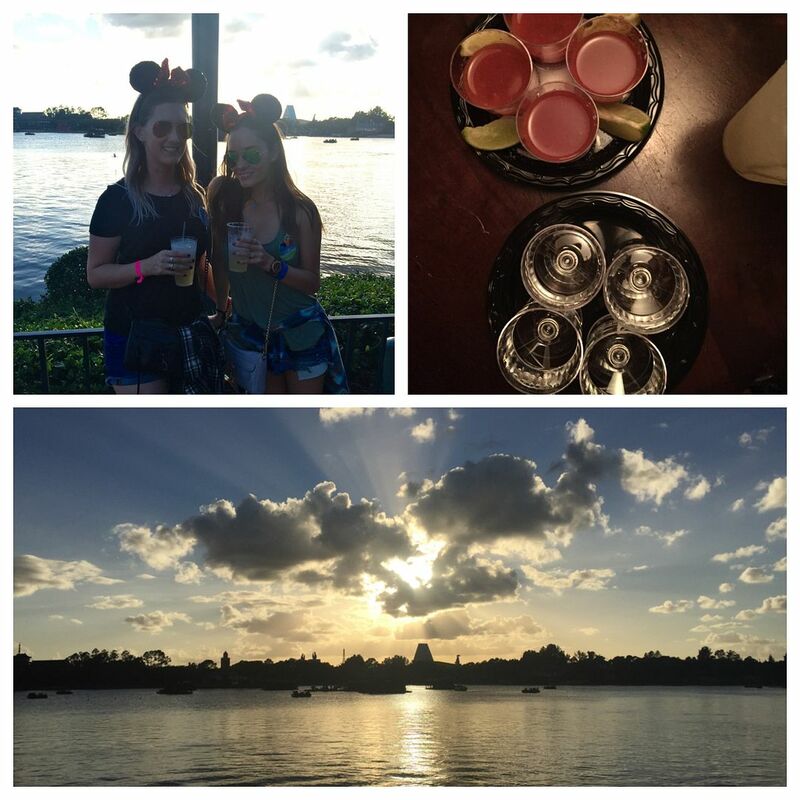 I am so jealous of your time at Disney! I want to go sooo badly haha! So jealous you got to go to Disney! I haven't been there in years and can't wait to take my kids in the future! How fun that you got to take a day and head to the parks, I love Soarin' but 60 mins that early is just absurd. Glad you got to hit up all the other rides and countries that you missed last time!! Holy smokes girl, 12 miles in one day...that's crazy talk! Hope you have a wonderful week ahead! Disney for Kerri's birthday looks like so much fun, and I love that you got to meet Amanda, too! What a fun birthday celebration at the parks! That is a long time to be there, so awesome! I dont blame you for staying in for the game with all the action Friday! Right now I just really want some chicken and dumplings! disney!!!!!!!!!!!! you're making me so excited. 12 miles!? so KC and I were talking about this the other day... we must be the only people who aren't obsessed with Soarin, I mean, I'll ride it, but it won't ruin my day or trip if I don't. At all. You are so lucky that you live so close to Disney! And that is so much fun that you were able to meet up with Amanda! I was LOVING all of your Disney snapchats! I definitely have Disney fever - need to get back there soon!! Glad you had a good weekend! All the food looks so yummy! I have those same sequined Minnie ears...but I got them like seven years ago (the last time I was there) so I really want to go back so I can wear them again! Haha. Or maybe I'll just have to wear them on Saturday and be Minnie for Halloween. Lovely pictures, looks like you had a really great time! You just really made me want to go to Disney right now! Have a great week! 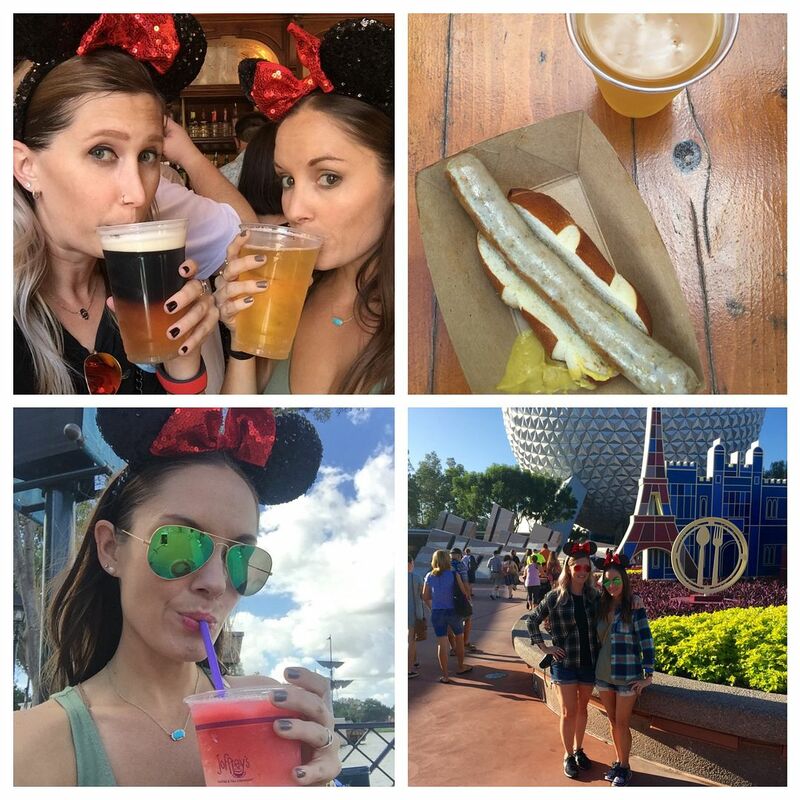 I just love that you can go to Disney whenever-I would love trying all that food! Loved seeing all of your Disney pics on Instagram! I SO wanna go back now! Looks like you guys had a blast!